How do you recognize whether your florist is caring for his offerings in a way that ensures that you get the longest vase life (florist speak for how long your flowers last in a vase)? First look at the flowers themselves. They are the first indicator of freshness. Do the heads of roses feel firm and not mushy? Are leaves shiny and not shriveled? Are the middles of chrysanthemums still green or beginning to brown? Are lilies just cracking open or fully blown open? Are petals firmly attached or falling off gerberas? Are stems green and straight or yellowish and slimy? Flowers kept in a cooler—whether it is the walk-in type or one in which you can easily reach in to the rows of buckets—last longer than those kept at room temperature. 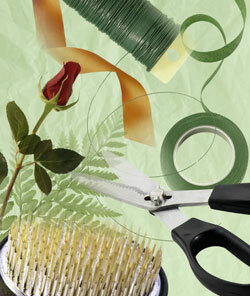 Want even more proof of your florists’ attention to proper care and handling? Look for a thermometer in the cooler and check its temperature. Most flowers prefer temperatures of 1 to 2 Celsius (33 to 35 Fahrenheit), except for tropical blossoms, which thrive in temperatures of 10 to 13 Celsius (50 to 55 Fahrenheit). Florists who maintain proper temperatures are paying attention to one of the most critical aspects of stem longevity. Just like your kitchen at home, your florist’s shop should be scrubbed and sanitized. The tools used to cut the bottoms off stems, the counters, the buckets in which the flowers are stored—all should be fresh-smelling and germ-free. Similarly, the water in the buckets should be clean and fresh. If you wouldn’t want to drink it, neither will the flowers. Water should be free of foliage and debris that can clog stems and cause them to wither too quickly. Your florist should not only be adding flower food/preservative to the buckets in which he stores his blossoms but he should be giving you packets of the powder to use in your vases at home. These little packets, which you mix with fresh water, provide nutrients to keep blooms upright and colorful while also inhibiting the growth of bacteria that can reduce the longevity of your flowers. If your florist is neglecting any of these steps, consider buying your flowers elsewhere – no matter how low the price. Even the lowest price is too high for fleeting beauty. It’s truly unfortunate when flowers don’t last because consumers then tend to think that flowers are a waste of money–and it’s really just the opposite! Research actually shows that flowers improve our health (the topic of an upcoming article!)! So it’s definitely worth your time to make sure your florist is taking care of the flowers he sells so that they will last as long as possible once you get them home. Thanks for the information, because I had wondered why some fresh brought flowers lasted longer then others. Have you ever thought about writing an article on how to pick a florist store that will insure that the flowers you order for someone will be fresh and that you’re getting your money’s worth? Last month I ordered a plant for my Aunt’s funeral and spend a little over $50.00. I was socked and embarrassed to see that my planet was not only healthy, but a fourth of the size that my mother had ordered from a different florist, for only $35.00. Being too embarrassed I didn’t say anything to my family, and because of my lost of a special Aunt I didn’t feel up to calling the florist about this issue. So how can I keep from making this mistake again. I always only buy from local florist companies. We have an outstanding reputation for our flowers lasting. That’s what it’s all about! 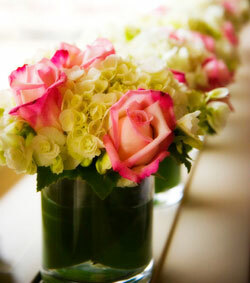 Long-lasting flowers are the keys to the industry selling more flowers. It’s what everyone really has to focus on. Glad to know it’s paying off for your shop!